It is pretty easy to find a pet friendly apartment complex in Central Texas. Unfortunately, it is less easy to find an apartment that allows for large dogs. It is common to find apartments with weight limits of 35-50 pounds. This can make finding housing for you and your furry family member difficult. The Apartment Experts have experience with working with pet owners and pet friendly apartments. There are several things pet owners can do to make renting an apartment with a large dog easy and stress free. Big Scary Dog or Gentle Giant? There are many misconceptions about large breed dogs. One assumption about large dogs is that they are meaner than small dogs due to their size. In addition, some large breed dogs have gained bad reputations for being aggressive or unfriendly. If the property manager is concerned about the demeanor of your big dog, the AKC suggests scheduling a pet interview. The pet interview will help the leasing staff get to know you and your dog. As a result, they will have more confidence in your dog and you. Apartments will require your pet’s most recent shot records to ensure the animal is properly vaccinated. Other papers may include proof of breed and an official temperament test from the vet. Create a plan to present these documents to the leasing staff to review before you sign your lease. This helps the leasing process move smoothly and allows the apartment management to gain confidence in your big dog. If you are having a hard time finding a place that will allow your large breed dog, contact your local apartment locating service like Apartment Experts. These licensed real estate agents are up to date on pet policies and procedures at different properties in the area. Apartment locators stay in constant contact with property management about different breed and weight restrictions. They will narrow down your options to reflect the best apartments for you and your big furry friend. 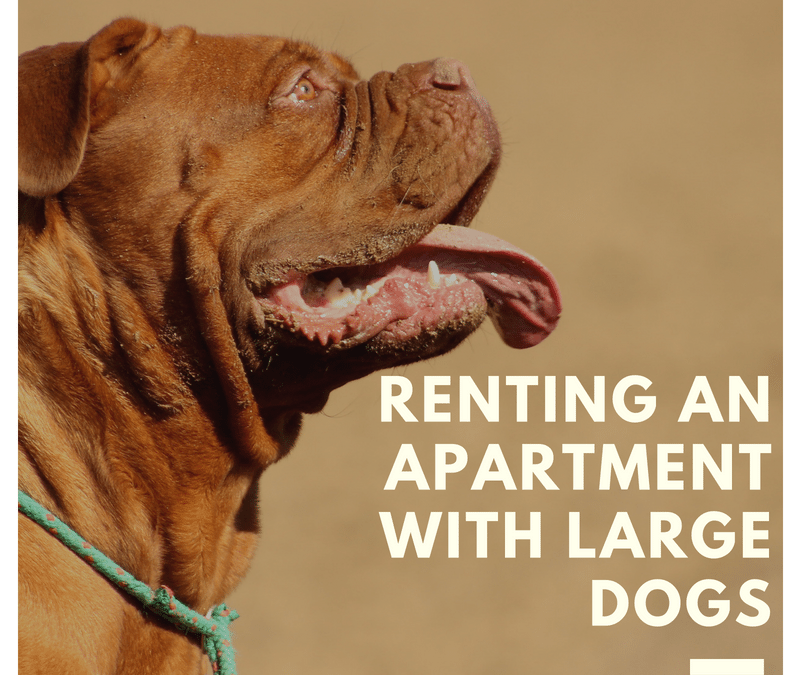 Renting an apartment with a large breed dog doesn’t have to be stressful. Our licensed real estate agents are pet friendly and ready to help you with your housing search. Call us today at 512-805-0123 or visit our website to schedule your free appointment! I’ve created a piece called “Generation Rent” which I think may be of interest to your readers. The piece looks at the plight of the UK’s Generation Rent, who are struggling to take their first steps on the property ladder, and we compare our data to other European nations to find out are Brits the only one’s feeling the pinch? If you would like to share this piece on your website sanmarcosapartmentexperts.com? Also, any feedback or comments would be very much appreciated. Hi Laura! Apartment Experts is located in San Marcos, Texas. We don’t usually do much with the UK real estate market. If anyone asks us though we will send them your way. Thank you!